Milan, 1st March. 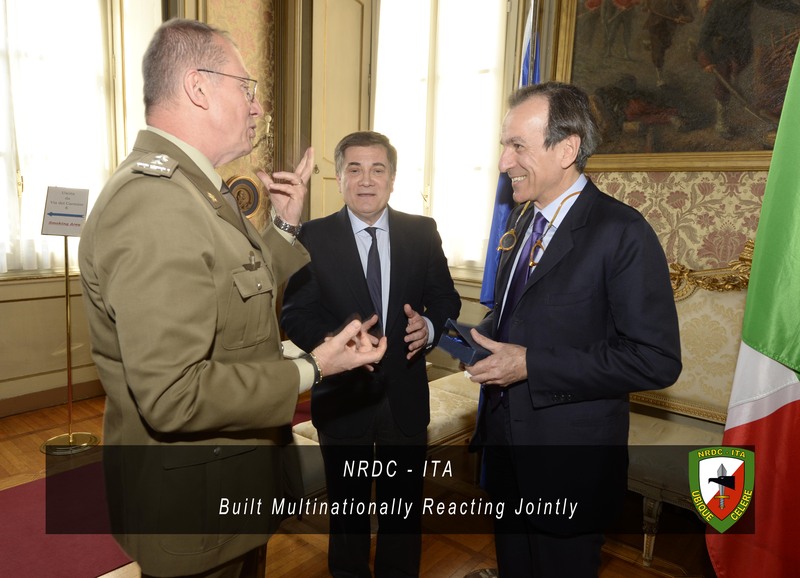 Today at "Cusani" palace, Lt Gen. Riccardo Marchió met Mr Luciano Fontana, the Director of "Corriere della Sera”, an historic Italian newspaper which was founded in Milan in 1876. "Corriere della Sera" is the most significant newspaper in Italy in terms of visibility and number of readers. 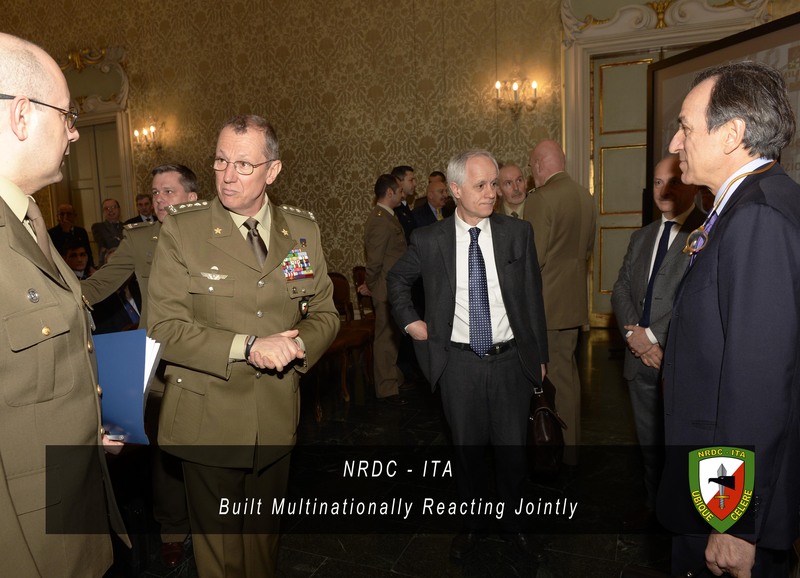 The meeting also focused on the important role that NRDC-ITA plays in the Milan region as a high level NATO Headquarters that continues to forge relationships with institutions such as newspapers and other media outlets, as well as economic, cultural and social organisations in Italy. At the meeting were also present Mr. Paolo Valentino, a journalist from the important newspaper, and two experts in international relationships, Prof. Gianfranco Benedetto, from University "Carlo Cattaneo - LIUC" of Castellanza, and Prof. Francesco Montessoro, from the University of Milan. 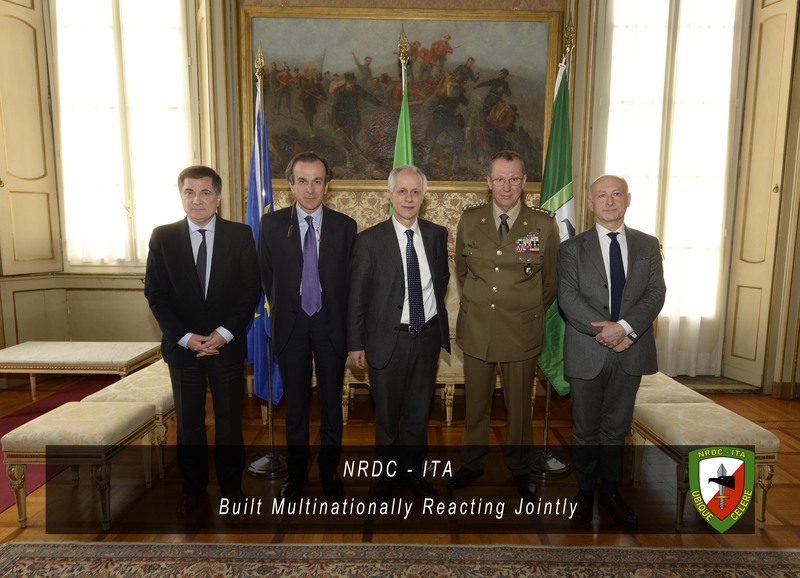 The strong relationships between the HQ from "Ugo Mara" and these Regional and National Institutions continues to provide links of great value and shows the important integration of the HQ to the region.